Travellers who visited Vietnam often add the Egg Coffee to their must-have drinks list. It was created in 1946 by Mr. Giang Nguyen. Giang used the egg as the substitute to milk due to its shortage caused by the war. His signature drink became a hit that he opened his own cafe shop, which is still run by his son nowadays. 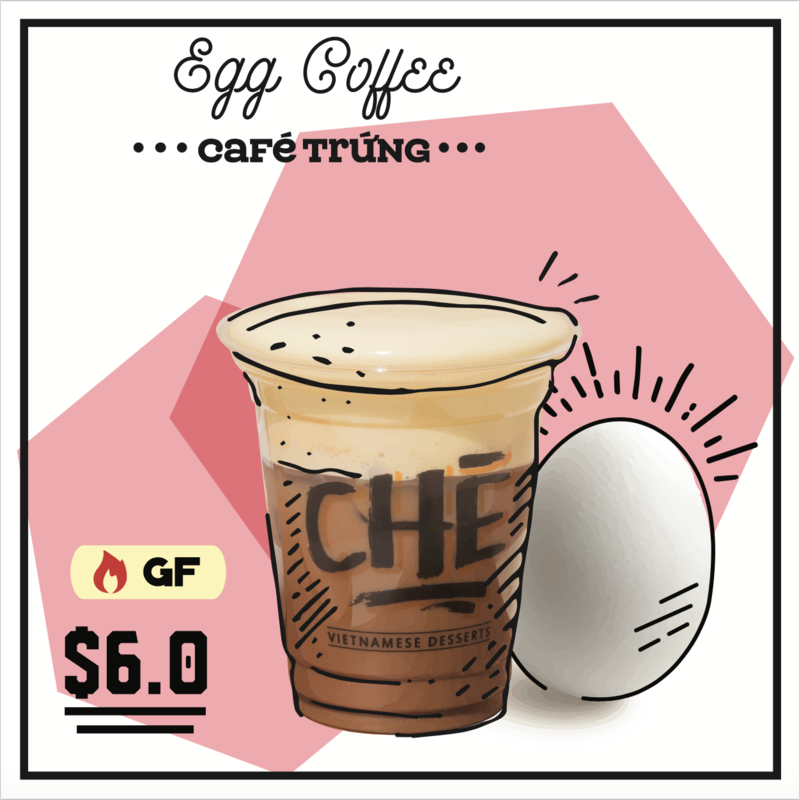 CHE Desserts is the only place where you can find the legendary Egg Coffee in Melbourne. Using only premium free-range eggs from Willow Zen, the yolks are whipped with organic vanilla and a dash of condensed milk until rich and creamy. Served over a strong shot of hot Vietnamese expresso, it’ll look like a rich cup of cappuccino, smell like an Affogato with eggnog but taste like sweet fluffy heaven. You will keep coming back for more.